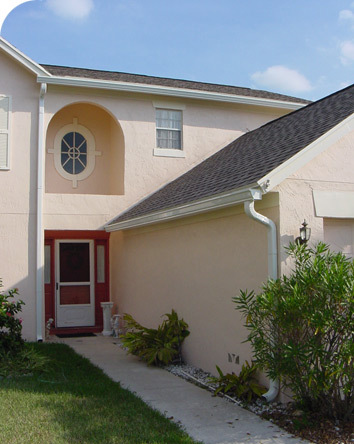 Call us today at 954.531.3618 or send an email to info@gutterdynamics.com to receive a FREE ESTIMATE. Our representatives are standing by to assist you. Whether you get 6" or 7", our seamless gutters are made from a continuous piece of aluminum without a 'seam' that joins separate pieces together. What does that mean to you? It means that foliage and other debris do not get caught inside the gutter drainage, which can eventually cost you in cleaning and possible damage to the gutter system. We offer the best quality and service in the industry. We know that quality and service go hand in hand. You just cannot have one without the other. Our goal is to develop a lasting relationship with our customers, whether it's a one-time deal or multiple jobs. Whether you require a screen room, pool enclosure, house gutters or any of our other services, you can count on us for a first class professional job at competitive prices.